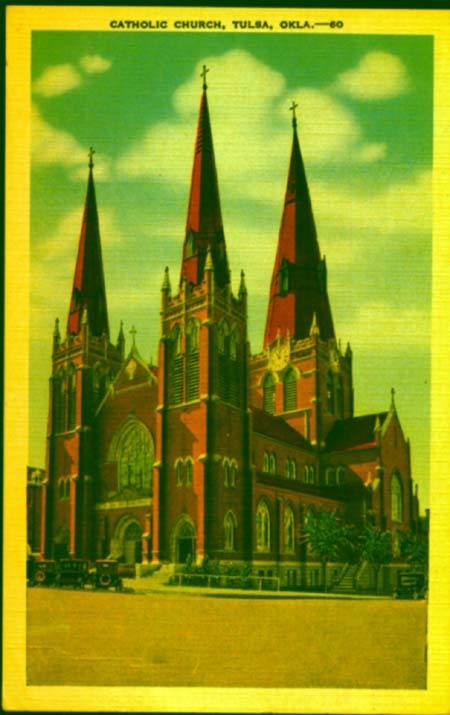 Holy Family Cathedral is one of the major historic landmarks of Tulsa. Holy Family was established in 1890 (see history). This is an undated post card.